In Miami, I-95 is a deadly stretch of road. 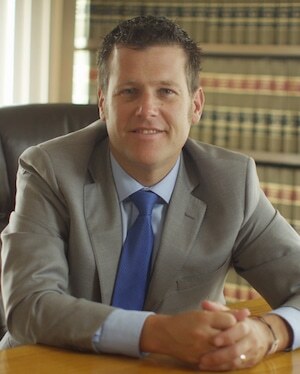 If you lost a loved one you should speak with an I-95 wrongful death lawyer. If you or a family member were injured on Interstate 95 in Miami, then you need to call an I-95 car accident lawyer. At the Wolfson Law Firm, our I-95 injury lawyers are standing by ready to help you, your friends and your loved ones. All you have to do is call us at (305) 285-1115 for your free and confidential consultation. In 2015, experts in geography and data science along with journalists analyzed the crashes on I-95 with a specific focus on the I-95 Express Lanes called Maps and Charts: Crashes around I-95 Express. As for the total crashes by the time of day, the results were as expected by our Miami car accident lawyers. The majority of crashes happened during peak rush hour traffic. In the morning, more car accidents occurred in the southbound lanes of 95. Conversely, the same finding for northbound lanes in the evening traffic rush hours. On Interstate 95 in Miami incapacitating injury crashes, meaning non-fatal, were fairly even distributed throughout the day. However, fatal crashes on I-95 were most likely to take place in southbound lanes between 10 pm and 5 in the morning. The peak for fatal car crashes in Miami on Interstate 95 is around 3 am which was no surprise to our I-95 wrongful death lawyers in Miami. Many bars close at 2am and people are either heading home or off to find another bar that is open even later. That is a recipe for disaster when people fail to be responsible and use a taxi, Uber or a designated driver. Our Miami Uber accident lawyers and wrongful death attorneys have heard the horror stories of drunk driving accidents and Miami wrongful death car accidents on Interstate 95. If you lost a loved one because of an impaired driver on I-95, the Miami car accident lawyers at the Wolfson Law Firm can help. Just call us at (305) 285-1115 with your questions. The total crashes on I-95 in Miami from 2005 to 2012 exceeded more than 12,000 car accidents. The totals of incapacitating injury car accidents on Interstate 95 in Miami varied over the years but generally exceeded 100 per year from 2005 to 2012. According to our Miami car accident lawyers, these statistics can be difficult to interpret because of how the term “incapacitating injuries” is defined. As an example, our auto accident attorneys explain that law enforcement will determine injuries at the scene based on the severity that is observable. If someone has a small cut that does not require hospitalization, then that is a non-incapacitating injury. Generally if someone is taken to the hospital with a serious injury, that is an incapacitating injury. Although the statistics show lower numbers of incapacitating injuries than one might expect, Miami car accident lawyers know differently and so do you if you have been injured in an I-95 car accident. At the Wolfson Law Firm, our personal injury legal team is ready, willing and able to help you and your family after any type of accident. Our Managing Attorney Jonah Wolfson is a bilingual I-95 car accident lawyer and Interstate 95 wrongful death attorney in Miami. Our Miami injury law office is available to represent you and your loved ones. All you have to do is call us at (305) 285-1115 and let us get to work on your case right now. Our Miami serious injury lawyers represent the good folks of South Florida in all communities including South Miami, Homestead, Hialeah, Aventura, North Miami, Overtown, Miami Shores, North Miami Beach, Liberty City, Edgewater, Midtown, Doral and Coral Gables.